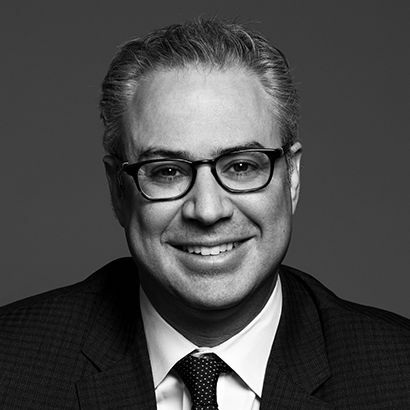 Eli Lederman, a Toronto litigator at Lenczner Slaght Royce Smith Griffin LLP, has a practice that focuses on contract disputes and acted for the defendant in Bhasin v. Hrynew. The plaintiff, Harish Bhasin, was a top Alberta enrolment director for Canadian American Financial Co. (Can-Am), which sold Education Savings Plans through people like Bhasin. Bhasin had a three-year contract with Can-Am that would automatically renew unless it was terminated by either side with six months’ written notice. Larry Hrynew was also an enrolment director and a competitor of Bhasin’s. Wanting a chunk of Bhasin’s lucrative market, Hrynew repeatedly, and to no avail, tried to force Bhasin to merge with him. However, Lederman, who has represented clients in some of the most significant contract-liability cases in Canada, convinced the Alberta Court of Appeal to overturn the lower-court ruling in favour of Hrynew and Can-Am. The appeal court decided there was no basis in law for the Queen’s Bench judge to evaluate the tactics Can-Am and Hrynew used against Bhasin in deciding not to continue Can-Am’s contract with him. The lower court should only have considered the express provisions of the contract that, in fact, did allow Can-Am to cancel its contract with Bhasin after giving six months’ notice. But Lederman suggests the SCC, despite good intentions, has made the business of entering into contracts even more risky than before 2014. “Even though the [SCC] takes the view that the broadening of this duty of honest performance to apply to all contracts will ensure commercial certainty, I’m not sure that’s the case.” Lederman says that, with courts now able to go beyond the plain meaning of the words in a contract in determining whether a party has failed to perform them honestly and in good faith, certainty about a contract is more doubtful and exposure to liability higher.